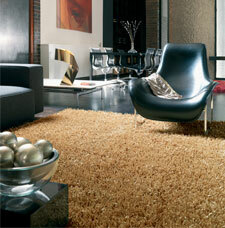 Metallica is a super heavy weight soft shaggy rugs collection characterised by a mixture of thin and felted yarns. Hand-woven to the highest standards, the rugs also features a lush high and rich pile. Metallica rugs are made of polyester and thus shed very little and do not create the fluff associated with wool shaggy rugs.